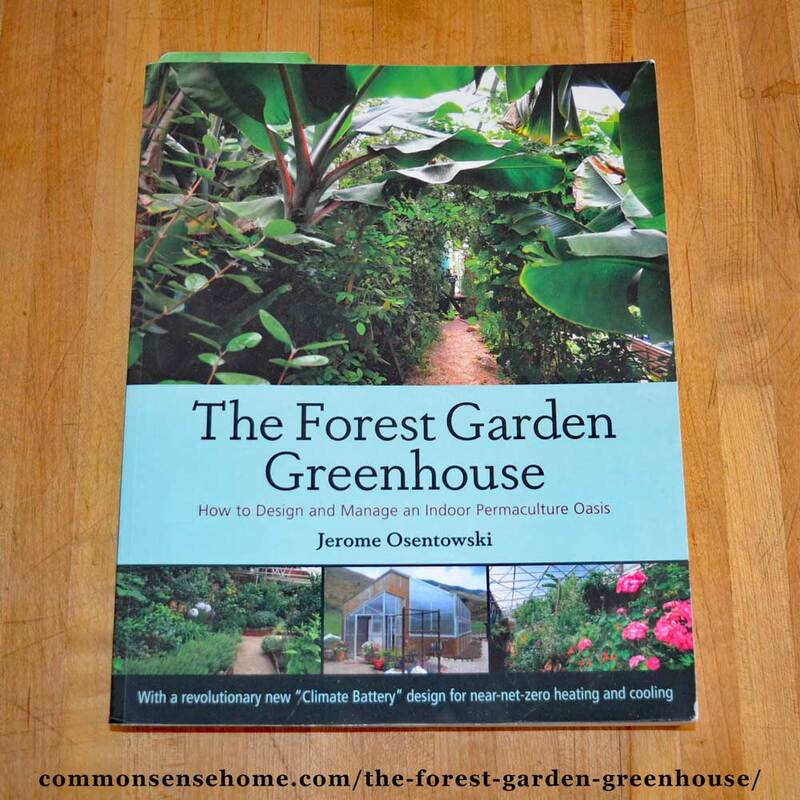 “The Forest Garden Greenhouse” by Jerome Osentowski will open your eyes to greenhouse possibilities well beyond simple season extension. From tropical fruit production, to worm farm, to plant nursery, to lush oasis in a snowy landscape, these greenhouses are an investment in abundance. Innovative options like indoor forest gardens play valuable roles in relocalizing food production. The unique climate battery design minimizes the need for outside fuel sources, reducing ongoing production costs. If you're ready to challenge conventional food production, a forest garden greenhouse may be right for you. 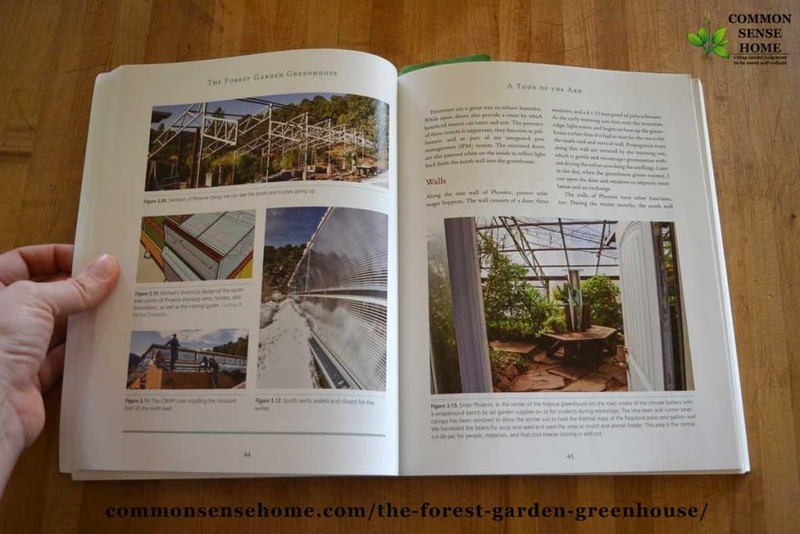 The book includes thirteen case studies, from personal greenhouses to schools and businesses. They are used for market gardening, as classrooms, as living spaces – creativity abounds. There is a learning curve to implementing and using the structures, like any greenhouse. With perennial crops, there's an ongoing balance that must be maintained year round. If you get your design and plantings right, the structure and plants do most of the work. When things aren't well-balanced, more work is required from the gardener. One drawback of the concept is cost. The initial investment is substantial. There's as much going on below ground as above ground with these greenhouse designs. Still, lots of people blow money on fancy cars or too many pairs of shoes. A tropical greenhouse outside your back door is much more useful. Wildlife habitat – Spots for creepy-crawlies such as spiders, snakes and toads to hang out and take their place in the food web. Aromatics – For attracting pollinators and feeding beneficial insects, as well as plain enjoyment. Dynamic accumulators – Plants that pull up and accumulate nutrients from deep in the soil to enrich your food forest. Nitrogen fixers – These plants, annual or perennial, partner with nitrogen fixing bacteria to gather nitrogen from the atmosphere. Mulch and Fodder – The right plants can be cut back or coppiced to control growth and provide mulch right on site. Cover Crops – For greenhouse “weeds” (unwanted plants), the best defense is a good offense. Cover crops keep out unwanted invasive plants and build organic matter. Finding the right combination of plants might seem overwhelming, but Jerome offers good guidelines to get you started. Perennial greenhouse plants grow and change, so your planting and pruning must also adjust each year. 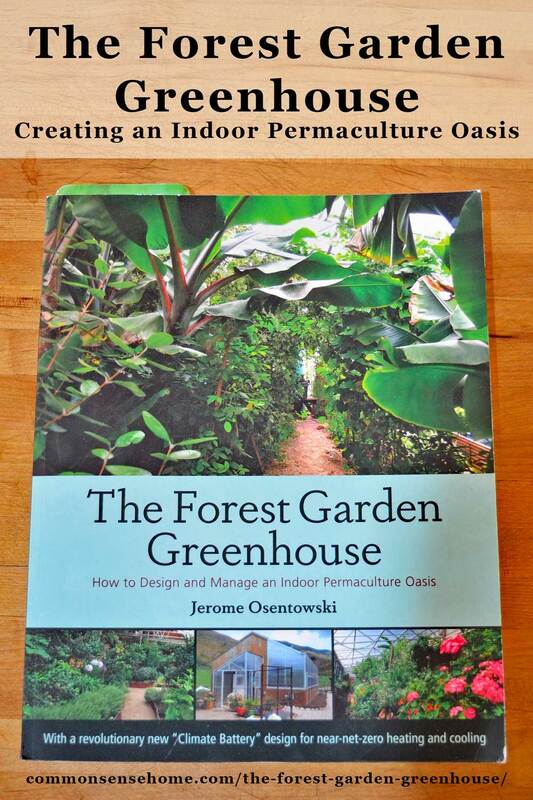 Jerome has been teaching permaculture design courses for over thirty years. If you're serious about building a forest garden greenhouse, your best option would be to reach out to him and the team at Central Rocky Mountain Permaculture Institute (crmpi.org) and take a course. Your second best option is to check out this book. Even if you don't go tropical, you can still use the concepts to enrich any greenhouse environment. We've been growing the bulk of our food for generations by ripping up the soil. When we create microclimates for edibles to thrive, using perennial crops instead of annuals, we protect the soil and the life that's in it. Healthier soil equals healthier food. The time has come to work with nature instead of against it.